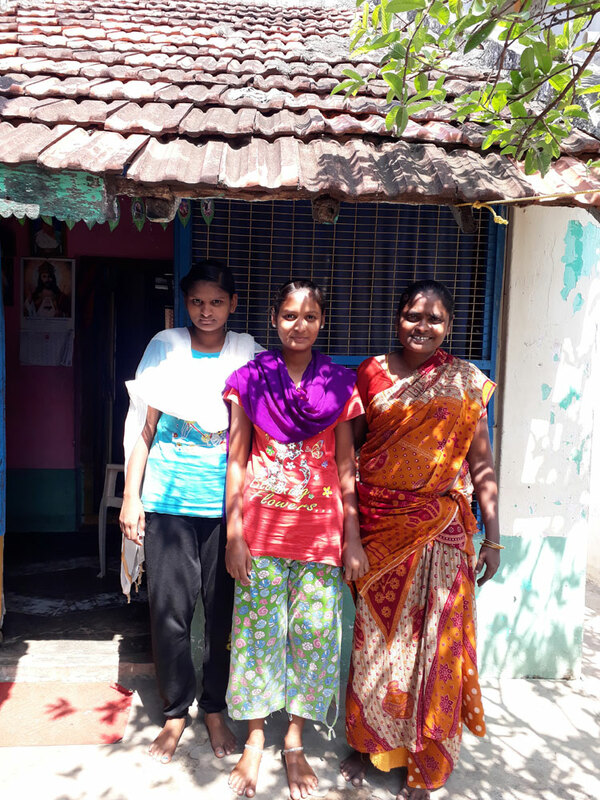 Veeralaxmi is a hard-working young woman who appealed to the FFA for help due to the health problems of her husband, Apparao. As a young couple, Veeralaxmi and Apparao worked hard to overcome their own poverty and raise their children into a better life. Apparao worked as a beef vendor while Veeralaxmi helped him run his business and cared for their children. By all accounts the family was happy; business was good, the eldest daughter was a star student and their younger daughter was able to attend school despite suffering from a neurological condition. Then, things began to change. Their livelihood was affected by several changes to beef regulation and sales that left Apparao without a reliable income. His health began to deteriorate as well, first with diabetic issues and then with cancer. The family put all of their savings into his treatment. Despite this he is now in constant pain and requires expensive ongoing medications. He is not able to work, leaving Veeralaxmi as the sole earner for the family. Veeralaxmi is a smart woman but can only take odd jobs as she needs to care for Apparao at home. A sponsor could provide the money that this family needs to get back on their feet and start a small home-based business that would provide a reliable income. This family has come so far on their own, but now need the generosity of a sponsor to help them through this difficult time.